How to Donate Photos and Other Historic Artifacts. We are always excited to discover new historic photos, documents and other historic items from our area’s past. Although our storage space is currently limited we would be happy to consider anything you may wish to offer. While photographs and documents make up the bulk of our collection the list of other types of historic items is endless. It includes printed items such as advertising, posters, and calendars, and business and municipal records. 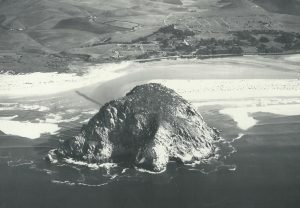 Anything that is clearly related to the past of Morro Bay or Los Osos/Baywood Park is of interest to us. We consider several criteria in selecting items for our collections. For more information click here. We are currently looking for items from the 1950s to the 1990s to improve the range of our collection. If you are not ready to part with your treasures please consider allowing us to digitize your collection. We will ask that you work with our collections committee to identify the items and copy them electronically. In return we will provide you a copy of the resulting CD. Since the Society does not yet have a permanent home or place for public display we are reluctant to accept items other than photographs and some paper documents. We are interested, however, in documenting the existence of such privately held items and larger collections. If you have such a collection or know of one please leave us a message at 805-399-2772 and a member of our collections committee will get in touch with you.